Thai Basil Noodles. | Eat More Plants. I love how basil can elevate a dish from just good to amazing. Just the smell of basil immediately makes me hungry and my brain starts thinking of new ways to use it. I’ve been avoiding gluten since going vegan, not because of an intolerance but just because I don’t think it’s very healthy. 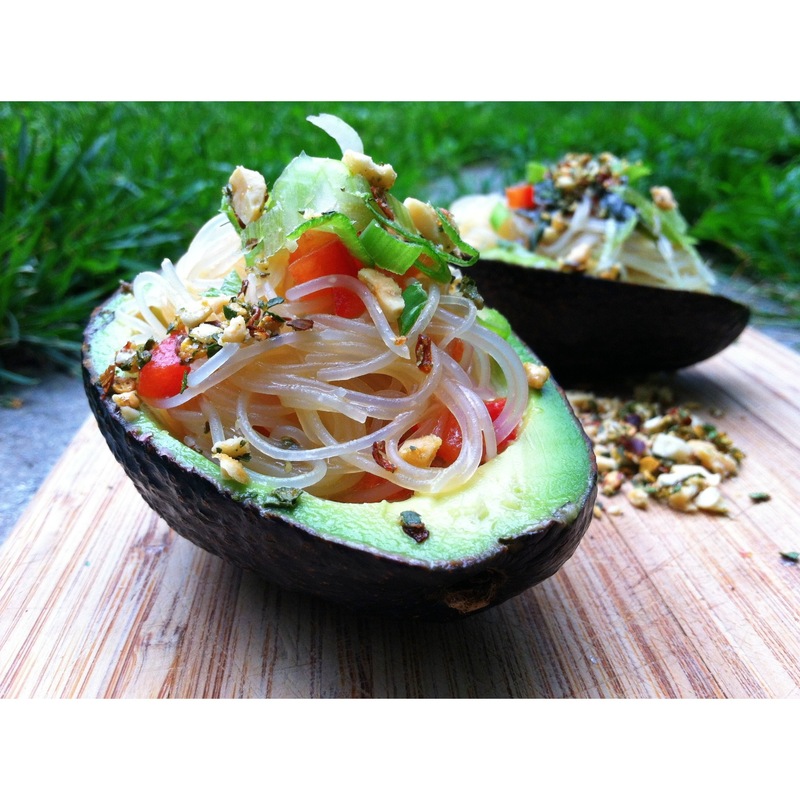 Rice noodles are a substitution I made in place of pasta and they are just as versatile. I love their ability to absorb sauces and flavors just like a semolina pasta would. And quick to cook too! I boiled some rice noodles for three minutes and then as I let them cool, I worked on a Thai inspired sauce. Mix the avocado, miso, soy sauce, oils, vegetable stock and vinegar well, until smooth. Stir in basil and bell pepper. Toss with your noodles making sure to get them well coated. Serve with peanuts, green onions and red pepper flakes sprinkled on top to your liking.